I will be.writing poems from my phone for a bit I feel like i they come out more inspired that way. I begin to bubble up. She is just a few steps away. 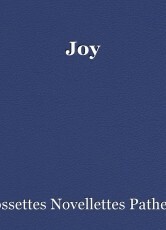 For Joys love is a gift for us all. This page was created in 0.3716 seconds.